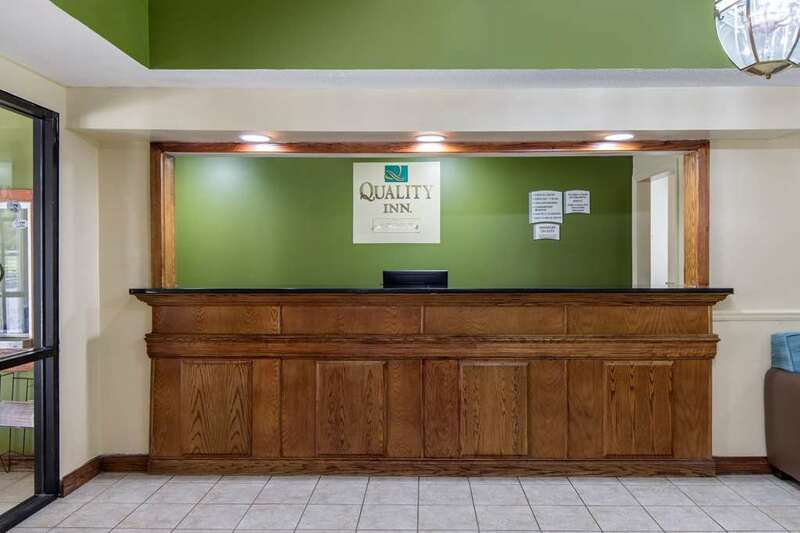 The Quality Inn hotel in Kingstree, SC has the value you are looking for when you travel. Enjoy a variety of amenities and friendly service when you stay at our affordable hotel. Amenities include free WiFi, free hot breakfast, meeting space, a business center and an outdoor seasonal pool. Guest rooms feature microwaves and refrigerators, flat-screen TVs, coffee makers, hair dryers and irons and ironing boards. Get ready to create memorable travel experiences when you book with Quality Inn. Our property is located near popular attractions like the Williamsburg Historical Museum, Bean Market Museum, Art Fields, Moore Farms Botanical Garden, Sunset Acres and the Magnolia Mall. Make the most of your time when you book a room at our hotel in Kingstree, SC. There is also the chance to earn points with our Choice Privileges Rewards program, which can be redeemed for rewards like free nights, gift cards and more. Pets allowed 15.00 USD per pet, per night. Max 50 lbs, 2 pets per room.